List of Open Source PHP MySQL Based Blogging Softwares lists the most commonly used and available softwares those can run on any LAMP server easily. This List of Open Source PHP MySQL Based Blogging Softwares covers the possible Server Softwares to promote Open Source softwares. Our intention is to create a List of Open Source PHP MySQL Based Blogging Softwares, from simple blogs to complex blogging Softwares has been listed here. However, we might have missed any good software to list in this Tera sized in this List of Open Source PHP MySQL Based Blogging Softwares. If you know more, kindly add via comments. Basically you will need a LAMP server to run these List of Open Source PHP MySQL Based Blogging Softwares, however, some might be able to run on Windows Server. Apache Web Server is expected, individual tweaks might be needed to run on nginx. Installation for most is easy like WordPress. WordPress : Millions of publishers are using, most used self-hosted software. b2evolution : Officially they says that, it is comparable to own hosted Movable Type blogging platform. LifeType : Lifetype is an open-source blogging platform with support for multiple blogs and users in a single installation. DotClear : Dotclear is an open-source web publishing software created in 2002 by Olivier Meunier. A one man’s project at first, Dotclear soon gathered a team comprising different personalities with various backgrounds. Textpattern : A lightweight yet powerful core allowing complete control over your site layout with many available plugins. Nucleus : The way Nucleus site looks is fully tweakable through skins and templates, and multiple CSS files. Next to that, the language used by the Nucleus admin area can easily be changed through language-files. Serendipity : Serendipity is a PHP-powered weblog application which gives the user an easy way to maintain an online diary, weblog or even a complete homepage. Open-Blog : Currently not updated. You can download from Github. Pixie : Pixie is a cute looking weblog software. PivotX : Not only blog, PivotX is also a great tool to maintain more complex websites. Croogo : Croogo is actually based on CakePHP. Anchor CMS : Relatively newer blogging platform. Nibbleblog : Very simple to install and configure (Only 1 step). The database used is based on XML files and this way it is not necessary to use MySQL or similar DBMS. FlatPress : WordPress minus Database. Phabricator : Phabricator is a Software Development Platform. Phabricator has a professional grade UI, it is not blogging software but has a Blog Application named Phame. We discussed how to install Phabricator on cloud server in separate guide. StatusNet : StatusNet is the world’s most flexible social software solution. Somewhat like Twitter. Sharetronix : Sharetronix is a Secure Social Network for Your Company. Collaborate with Your Coworkers, Clients, and Partners. Storytlr : Story Teller. Storytlr is an open source lifestreaming and micro blogging platform. You can use it for a single user or it can act as a host for many people all from the same installation. There is difference between Blogging Softwares and CMS. A fine line exists. This is the reason, Joomla! , Magento, Drupal are not listed on this List of Open Source PHP MySQL Based Blogging Softwares. This Article Has Been Shared 1181 Times! Tips to stabilize the ups and downs in number of visitors to your website. Creating Own WordPress Theme can be made easy by full modification of any WordPress official Theme or other theme or theme framework’s Child Theme. you’ve hit the nail on the head. The issue is something that too few men and women are speaking intelligently about. I am very happy that I stumbled across this during my search for something relating to this. 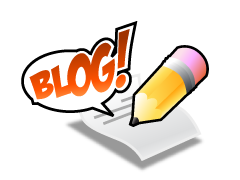 What’s up, yeah this article is really fastidious and I have learned lot of things from it concerning blogging. thanks. interesting article like yours. It’s pretty worth enough for me. In my opinionPersonally In my view, if all webmasters and bloggers made good content as you did, the web will be much more useful than ever before. Hi I am so grateful I found your webpage. Nonetheless I am here now and would just like to say thanks for a incredible post and a all round entertaining blog (I also love the theme/design), I don’t have time to browse it all at the moment but I have saved it and also added your RSS feeds, so when I have time I will be back to read much more, Please do keep up the fantastic job. He was totally right. This post actually made my day. You cann’t imagine just how much time I had spent for this info! Thanks! you’re stating and the way in which you say it. You make it entertaining and you still take care of to keep it wise. I can not wait to read far more from you. This is really a terrific web site. out there that I’m totally overwhelmed .. Any tips? Cheers! It’s very trouble-free to find out any matter on web as compared to textbooks, as I found this article at this site. Hi, i think that i saw you visited my site thus i came to â€œreturn the favorâ€. Thanks for providing these details on the internet. on other sites, I’d like to follow everything new you have to post. Would you make a list of all of all your social pages like your linkedin profile, Facebook page or twitter feed? It’s remarkable to visit this site and reading the views of all colleagues regarding this post, while I am also keen of getting experience. cost a pretty penny? I’m not very internet smart so I’m not 100% certain. to read this website, and I used to pay a quick visit this website all the time. so! Thanks for the details. which contains lots of useful facts, thanks for providing these information. which inclu?es ton? of helpful facts, tha?nks for providing these kinds of data. a blog. I saved it to my bookmark site list and will be checking back soon. IÂ¡Â¦ve learn a few just right stuff here. Definitely worth bookmarking for revisiting. I was recommended this website by means of my cousin. I am now not positive whether this publish is written through him as no one else know such detailed approximately my problem. You are wonderful! Thanks! fact, that many rreaders have asked me, “What really works. As the admkn of this web pagge is working, no doubt vwry quickly it will be renowned, due to its feature contents. you’re in reality a excellent webmaster. The web site loading speed is incredible. This article is truly a good one it assists new the web viewers, who are wishing for blogging. your waking life, stop and ask yourself, â€œAm I dreaming. the other realities that already exist, relatively unhampered by specific desires for self-fulfillment. of all friends on the topic of this piece of writing, while I am also keen of getting know-how. Cite this article as: Abhishek Ghosh, "List of Open Source PHP MySQL Based Blogging Softwares," in The Customize Windows, July 25, 2012, April 26, 2019, https://thecustomizewindows.com/2012/07/list-of-open-source-php-mysql-based-blogging-softwares/.